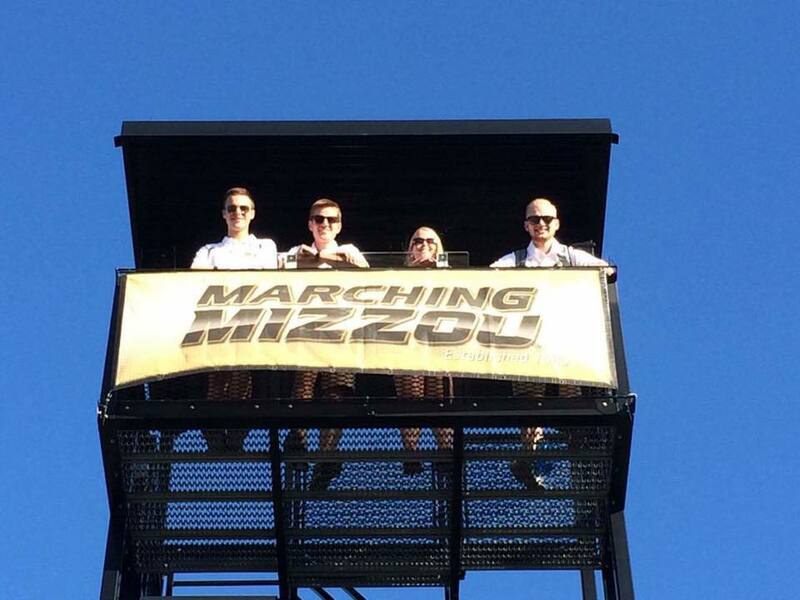 We are continuing our preseason tour and today we're stopping in to hear about what's in store for the Marching Mizzou under first year Director Erin Cooper. Tell us about what drew you to Missouri and what are you looking forward to the most this season? I was thrilled for the opportunity to come to Missouri because it is a strong program with great traditions - and it is wonderful to be supporting an athletic program in the SEC! Since I have experience with the conference, it is my hope to be able to keep the level of expectation high while also being able to travel to away games - and hopefully also bowl games! I have most been looking forward to meeting the students since this will be my first year here - so I've been very excited for band camp to get started! Beyond that, I am looking forward to wonderful halftime performances throughout the season! When does band camp start and what do you think will be your favorite part of camp? We started camp Saturday with our leadership team and graduate assistants! It is exciting to have their energy and enthusiasm back on campus! Yesterday we welcomed the drumline, colorguard, twirlers, and new members - and by this afternoon, we will have the whole band back together! I can't wait! I think my two favorite parts of camp will be hearing their very first note and also our Concert on the Quad performance on the last evening of camp. We will be taking pep bands to at least LSU and Tennessee - I have been to games at both campuses before, so I am very excited for the students to experience those and get to interact with their bands. We will also be performing with the full band at our annual Champion of Champions competition for high schools - so we are excited to perform for all of those students! We are planning a wide range of shows for the season - from patriotic to classic rock and from pop to swing - so hopefully something for everyone! If there was one other band in the country that you'd love to host who would it be and why? I would be happy to host any other college band - it is so great to see college bands interact together! So any band would always be welcome here! On a personal note, I would love to host Alabama since I was a graduate assistant there! I traveled to Mizzou with the Alabama pep band in 2012, so it would be a thrill to have my alma mater here at my new home! While being a band director can be stressful and exhausting, there is nothing I would rather do. I wanted to be a teacher and band director from a young age so coming to work at Mizzou is really a dream come true. My hope for the students is that they gain lifetime friends and memories from the program. My closest friends are people I met in band, and the experiences I gained in band could not have happened anywhere else. I would want all of those same things for my students. What is a fun things the band doesn't know about you? I have two cats - Rhett Butler and Lily.